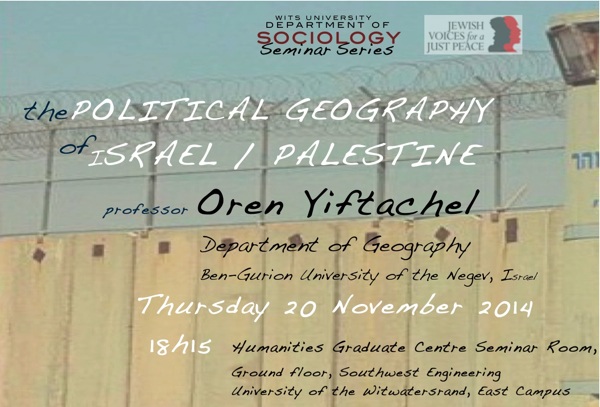 The Political Geography of Israel / PalestineA talk by Professor Oren Yiftachel on Thursday 20 November 2014 at 18h15. The talk will take place at the Humanities Graduate Centre Seminar Room, Ground floor South West Engineering Building, University of the Witwatersrand. Breaking down the WallSouth African Jewish for a Just Peace (JVJP) and Constitution Hill presented Breaking Down the Wall on Sunday 2nd November 2014. 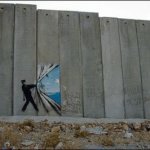 The day's events included live music, art, theatre, film and talks about our concern over human rights violations and the continuing military occupation of Palestinian territory in the West Bank and Gaza. Watch the interview which appeared on SABC. 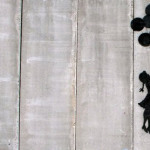 South African Jewish for a Just Peace (JVJP) and Constitution Hill presents Breaking Down the Wall on Sunday 2nd November 2014. 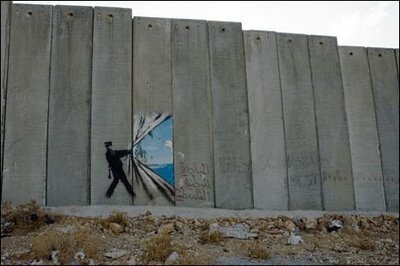 It will be a day of live music, art, theatre, film and talks about our concern over human rights violations and the continuing military occupation of Palestinian territory in the West Bank and Gaza.